The Keystone State has an enviable location in the Mid-Atlantic region. 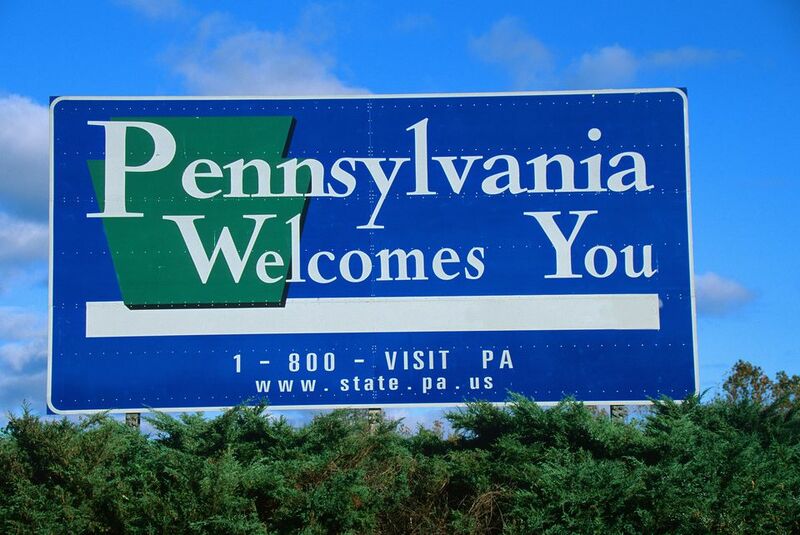 Many vacation spots in Pennsylvania are an easy drive from New York and Washington DC. Two mountain areas—the Poconos and Laurel Highlands—draw outdoor-loving families all year long. Top kid-friendly places to go in Pennsylvania include a major theme park with thrill coasters, a theme park for little kids, a historic grand hotel, and an indoor water park resort. Three hours from NYC and 90 mins from Philly, "Chocolate Town USA" offers a major theme park known for thrilling roller coasters (and a summertime water park) as well as family-friendly hotels with a sweet theme. Driving time is about 1.75 hours from Philadelphia and 2.75 hours from New York City. Do your kids love Sesame Street? Here's a whole theme park designed around Elmo, Big Bird, and the gang. Sesame Place is 30 minutes from Philadelphia and 90 minutes from New York City and is open mid-May through mid-October. The ideal age for kids is 2 to 7 years old. Looking for a getaway in the Keystone State? The City of Brotherly Love is much more than cobblestone streets, historical landmarks, cheesesteak, and big pretzels. This year, new reasons to love Philly include some very cool blockbuster exhibits that families will love. This grand Poconos resort on 5,500 acres has a venerable history and myriad fun things to do for families, from hiking, biking, and ziplining to paintball and ATV excursions. All-inclusive rates cover accommodation, meals, and most activities. Driving time is just under 2 hours from New York City and 2.25 hours from Philadelphia. This wildly popular indoor water park resort wows families with water slides, raft rides, tipping buckets, a lazy river, and wave pool. Dry activities include MagiQuest, high ropes, bowling, and more. Holiday celebrations include Howl-O-Ween and Snowland. Driving time is about 1.75 hours from New York City and 1.75 hours from Philadelphia. In the Laurel Highlands of southwestern Pennsylvania, the 2,800-acre upscale Nemacolin Woodlands Resort offers myriad indoor and outdoor activities, a wide variety of accommodations and, for parents, a top-notch spa. Driving time is about 4.5 hours from Philadelphia, 3.25 hours from Washington DC, and 3.5 hours from Columbus, OH. This winter family resort is well-known for skiing, snowboarding, and its award-winning terrain parks. Other activities include snow tubing, horseback riding, sleigh rides, snowmobile tours, snowshoeing, and more. Indoor fun includes swimming in the indoor pool, bowling, mini golf, and roller skating. Driving time is about 4 hours from Philadelphia and 3.5 hours from Washington DC. Open year-round, Deer Valley YMCA Family Camp is set on 742 acres with woods, hills, fields, and a lake for watersports and fishing (ice-fishing and skating in the winter time.) Guests can stay in the lodge in dorm-style bedrooms or in cottages and cabins. Count on a two-hour drive from Pittsburgh or three hours from DC. Once a hunting and fishing lodge in the popular Poconos, Split Rock is an expansive and reasonably priced four-season resort on over 1,200 acres in the town of Lake Harmony. Driving time is about two hours from New York City and 90 minutes from Philadelphia.